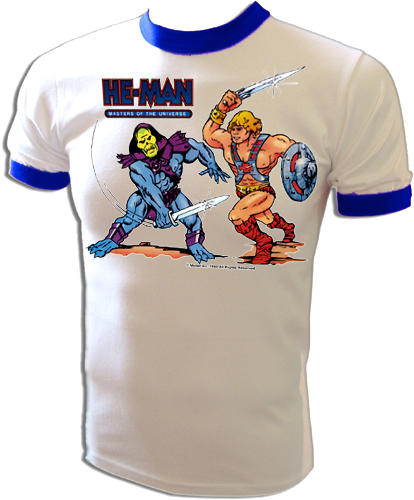 Original Mattel Masters Of The Universe Filmation licensed vintage heat transfer iron-on print on a new and unused t-shirt. Original 1983 Mattel He-Man print. Filmation MOTU stuff is extremely difficult to find, beautiful artwork. 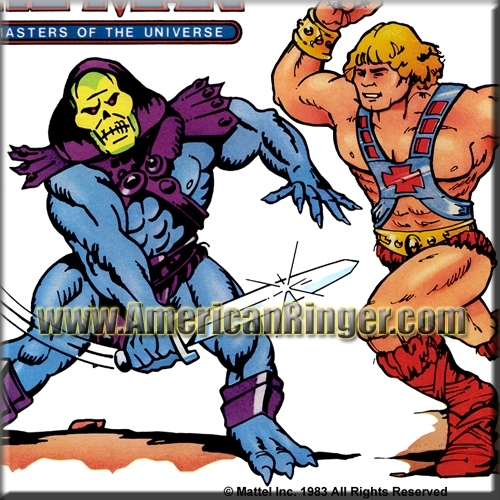 This promotional print was used for the 1983 release of the Masters of the Universe cartoon series starring He-man, Skeletor, Men-at-arms, Teela, and Orko! This is one of the coolest vintage t-shirts around! AmericanRinger.com acquired these and NOBODY ELSE HAS THEM! This is the real deal vintage stuff only available from American Ringer.